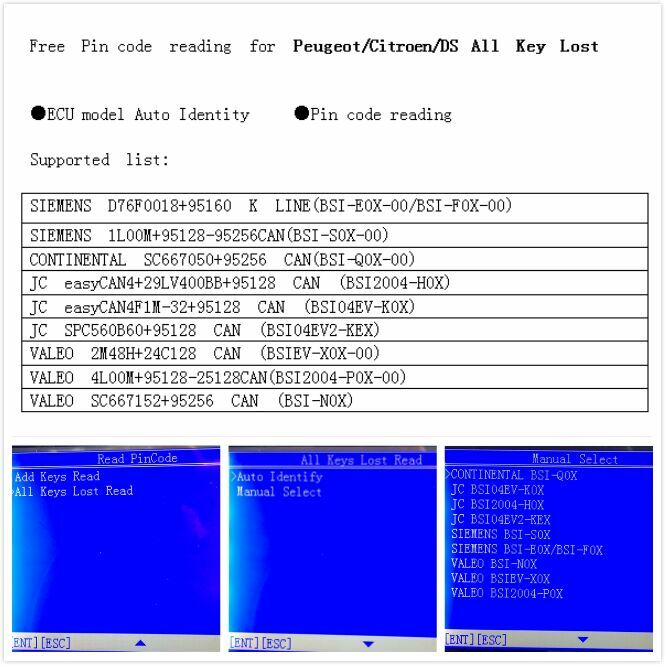 Cheap key master, Buy Quality master key directly from China odometer adjustment Suppliers: OBDSTAR X300 PRO3 Key Master with Immobiliser + Odometer Adjustment +EEPROM/PIC+OBDII +For Toyota G & H Chip All Keys LostnEnjoy ✓Free Shipping Worldwide! ✓Limited Time Sale ✓Easy Return. The main unit system adopts ARM high speed chip to keep it running fast,stable and anti-jamming. Modern design and high-definition screen realize the integration of automotive industry and electronic information technologies and make auto diagnosis and key programming easier,practical and economical. Integrity structure design makes it crack resistance, shock resistance and durable. For BAIC,For BENZ,For BESTURN,For BMW,For BRILLIANE,For BYD,For CHANGAN,For CHANGHE,For CHERY, For CHRYSLER(For CHRYSLER/For DODGE/For JEEP),For DFFENGSHEN,For DFPV,For FAW,For FIAT, For FORD/For LINCOLN,For GEELY/For HUAPU/For SQYL,For GM(For BUICK/For CADILLAC/For CHEVROLET/For GMC/For HUMMER),For GREATWALL,For HAFEI,For HAWTAI,For HIMIKO,For HNMAZDA,For HONDA/For ACURA,For HONGQI,For HYUNDAI,For ISUZU,For JAC,For JAGUAR,For KIA,For LANDROVER,For LIEBAO, For LIFAN,For LUFENG,For LUXGEN,For MASERATI,For MAZDA,For MITSUBISHI,For NISSAN/For INFINITI,For OPEL,For PEUGEOT/For CITROEN,For PORSCHE,For PROTON,For QQROS,For RENAULT,For ROEWE/For MG,For SGMW,For SMART,For SSANGYONG,For SUBARU,For SUZUKI,For TJFAW,For TOYOTA/For LEXUS, For VW/For AUDI/For SKODA/For SEAT,For YOUNGLOTUS,For ZZMAZDA,For ZZNISSAN,For ZOTYE etc.